for simply all your scuba diving & snorkelling needs. 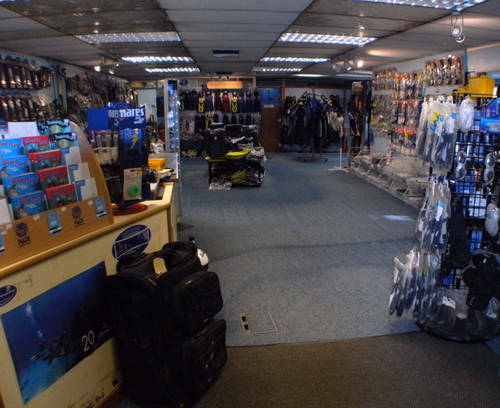 Aquaventurers is a modern, up to date Scuba store, offering everything you will ever need under one roof,for snorkelling , & Scuba equipment . We serve customers globally and locally from Merseyside, St Helens, Warrington, Wirral, Southport, Formby, Ormskirk, Burscough, Lancashire, Liverpool, Cheshire, Chester, Manchester, North Wales, Warrington and the North West, across the UK & beyond with our online stores on Ebay & Amazon. So why not contact us soon! Please RING in advance 0151-298 2122 for access out of hours. Near the BMW showroom, Costco & Heritage Market. Nearest stations are Liverpool Moorfields or Liverpool Sandhills on Mersey Rail Northern line or Liverpool Moorfields on the Mersey Rail Wirral line but both stations are around 20 minutes walk away.